"Where is the noblest of all this crowd?" 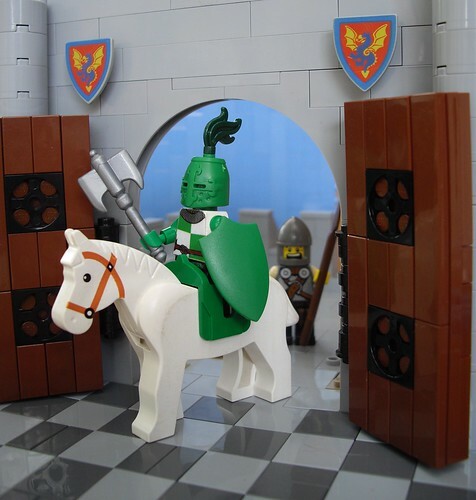 Just finished reading Sir Gawain and the Green Knight and thought I'd make a scene from the beginning of the story, when the Green Knight rides into the hall of King Arthur. I have taken some liberties with the appearance of the knight, so he's slightly different to the description given in the poem.